They say good things come in 3s. They also say small things please small minds. 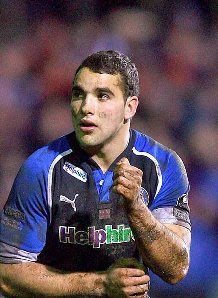 With that in mind here is today's blog..
1) Bath rugby club faced a must win match this evening. Despite playing well they went into the last 10 minutes trailing by 2 points at 18-20. Anything other than a win would be curtains for their play-off aspirations. With 6 minutes to go, every Bath rugby fan's favourite prodigal son Olly Barkley kicked a vital penalty making the score 21-20. This was the final score. 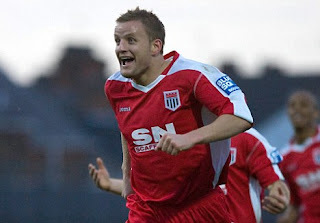 2) Bath City football club needed 3 points in this evening's rearranged fixture at Lewes. Despite conceding a controversial penalty which was then saved by keeper Ryan Robinson, City held on for an essential 2-1 victory. This sets the club up nicely for their final game of the season now needing just a draw to qualify for the play-offs. 3) I received an email from Sky mogul Mr. Watkins today. In the typical, understated manner of the writer it said "OMG OMG OMG!!!!!" 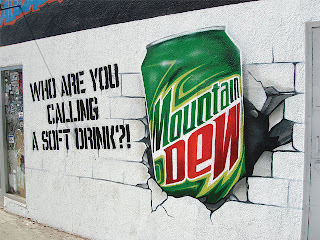 He was referring to the incredible news that, after much harassment from its underground coven of admirers, MOUNTAIN DEW IS BACK! Early May this highly addictive and caffeinated drink is making its much awaited comeback in the U.K.